After the long cold winter, we are so happy to have spring in the air. Not only are things heating up for the nation in terms of weather, but things are also heating up in the church as well. 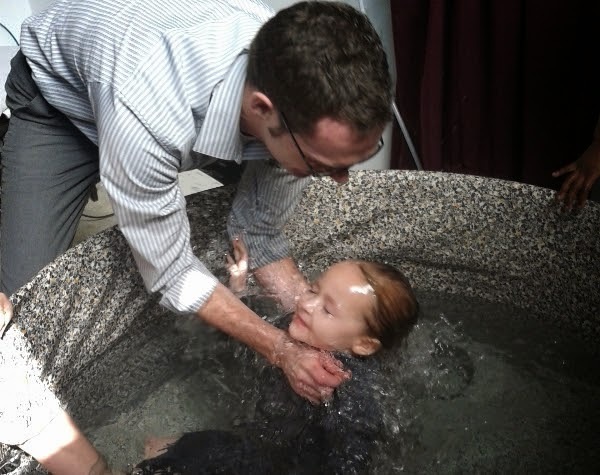 In March, we baptized three and had eight filled with the gift of the Holy Ghost. I was so privileged to baptize my daughter Jaida after she received the Holy Ghost. Jaida came up after Sunday school to be apart of the alter service (a weekly thing for our Sunday school kids). She was standing in the back and asked Sister Rotimi to pray for her so she could get the Holy Ghost. The Alter call was winding down, and people were heading back to their seats when I saw her standing in the back with her hands up and tears streaming down her face. I went to pray with her and within seconds she was speaking in that heavenly language. She later told me, "Dad, I didn't get the Holy Ghost." I asked her why she thought that, and she said, "because I didn't know what I was saying". God is so awesome. I can't wait to see what God is going to do next month.